Armiger Joinery have been members of Checkatrade.com since October 2014. Feel free to read reviews from customers who have provided feedback about our work. 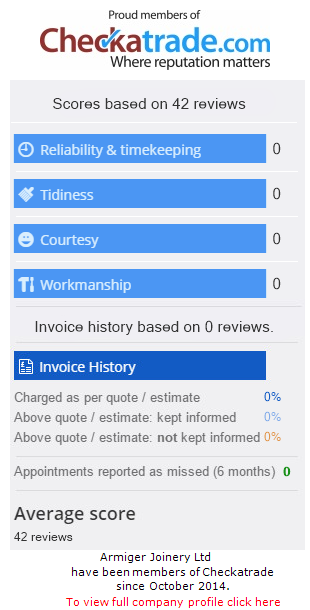 If we have completed work for you recently, please visit the Checkatrade.com site and leave feedback about our work.